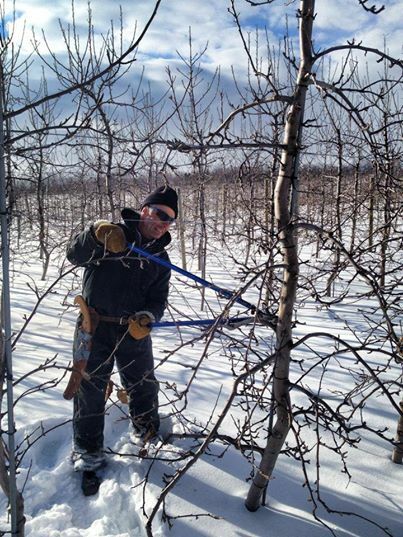 One of the best times to prune your tree is in mid to late winter (January-March). When pruned during this time of the year, the tree will begin responding to the wounding early in the spring. Pruning at other times of the year will not hurt a tree; however the process of sealing the wound may be slowed. Do not prune during the spring from bud break through leaf expansion, and during the period of leaf color change in the fall. A tree is going through major changes at these times, and branch removal can reduce the vigor of a tree. Once your tree has been in the ground for two years, it has begun to adjust to its new location and has started to establish a healthy root system. It’s now time to begin the crucial training of your tree so it grows into a beautiful, healthy and safe tree for everyone in the community to enjoy. 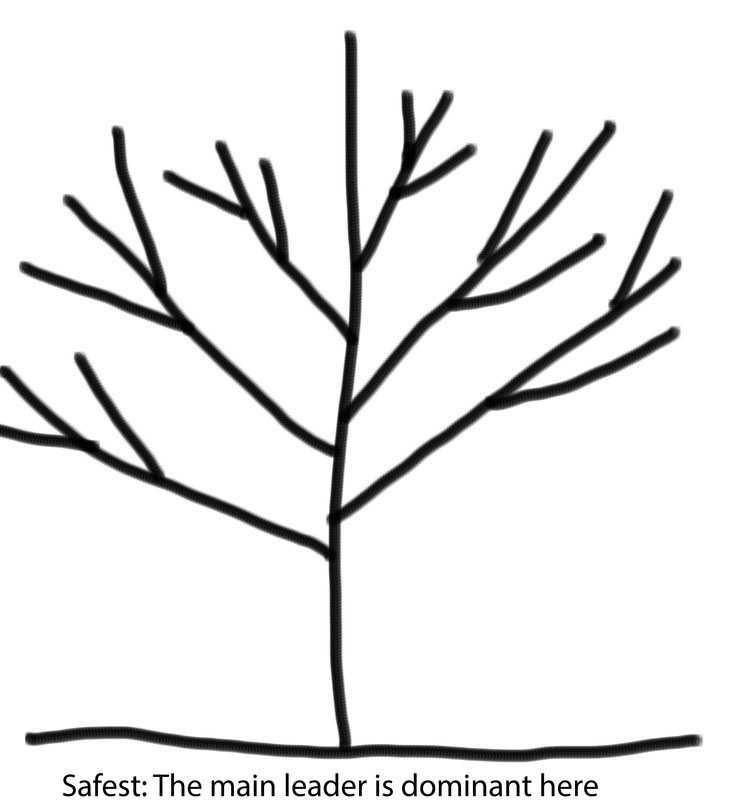 Know the general growth habit of a tree before beginning. Leave the temporary lower branches on the tree until they reach 1 inch in diameter to increase trunk growth and root development. Avoid removing lower branches too quickly, keeping lower branches longer allows for larger and stronger tree trunks. Concentrate efforts on removing crossing, rubbing, broken, diseased and weak-angled branches in the upper portion of the tree. Develop one main leader on shade tree species such as: oak, maple, ash, and linden. Concentrate efforts on removing rubbing and competing branches on species such as crabapple. Space permanent branches 15-35 inches apart. Remember developmental pruning is an on-going process over the first 15-20 years of a tree’s life. Take a moment to check out your tree and the way it has been growing. Start by looking at the tree’s trunk; this is also known as the tree’s ‘main leader’. 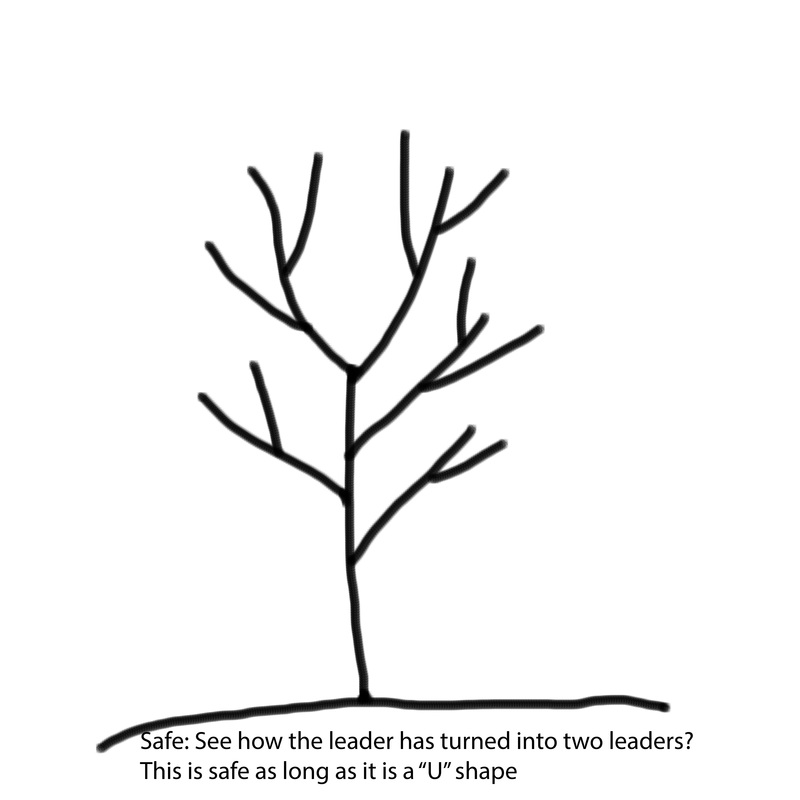 A tree with one main leader tends to be much stronger than one without. 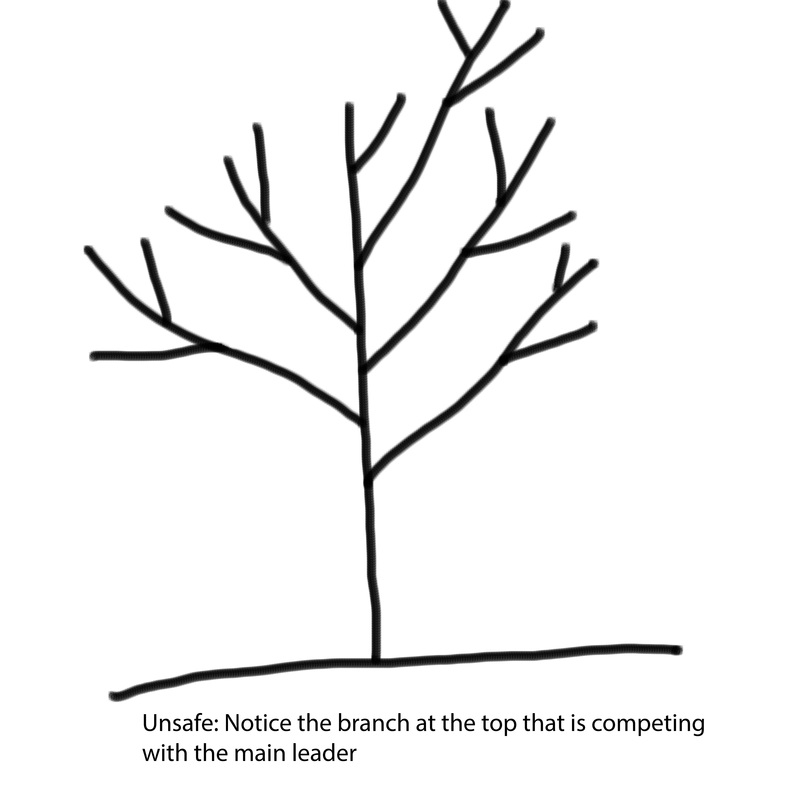 Training your tree to have one leader when it is young will ensure a strong and safe tree as it matures.